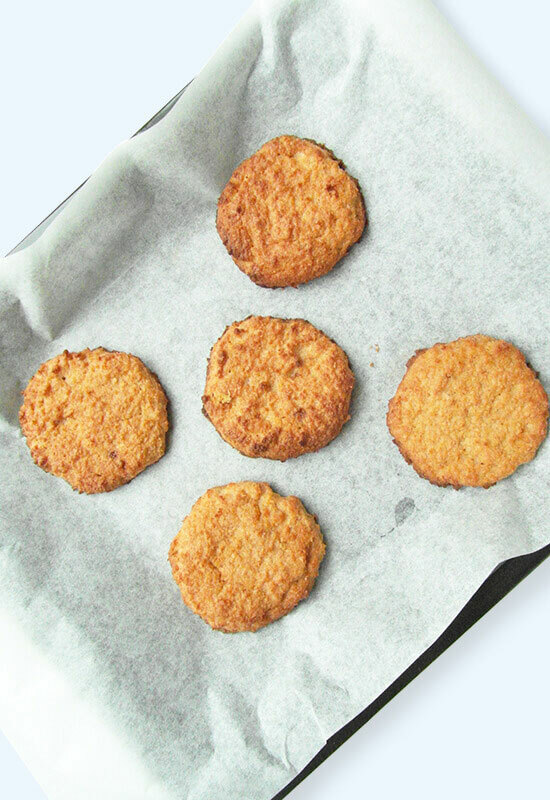 Coconut cookies are a tasty sweet treat; firm and crispy on the outside and deliciously soft on the inside. 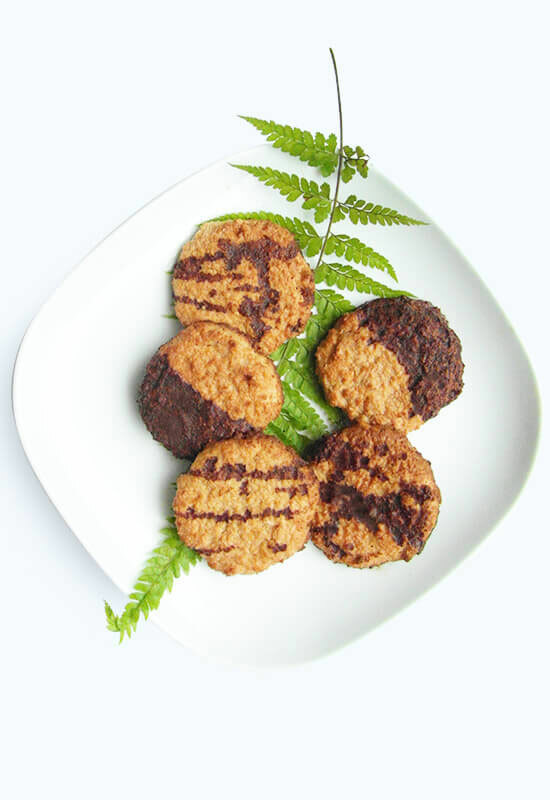 This recipe is a healthier vegan variation on the classic coconut cookies; made with gluten-free coconut flour and sweetened with coconut sugar. They are fast and easy to make and keep for like a week. But if you are anything like me.. they will probably be gone long before that! Before you start making your dough, preheat your oven to 350ºF / 177ºC. 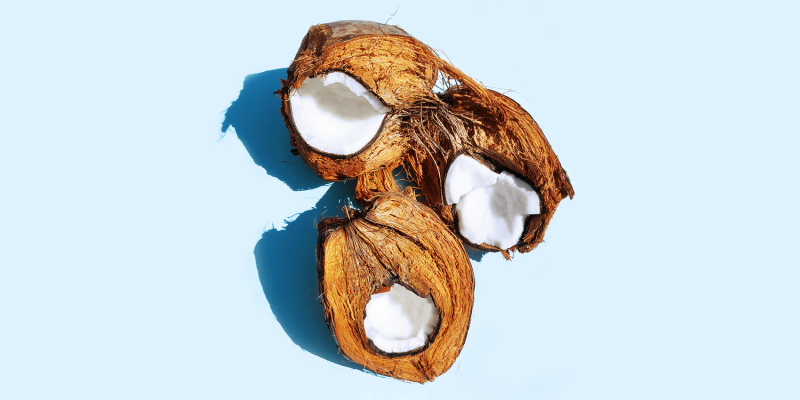 Use a bowl to mix the coconut cream with the shredded coconut, coconut sugar and 1/2 tbsp of coconut oil. 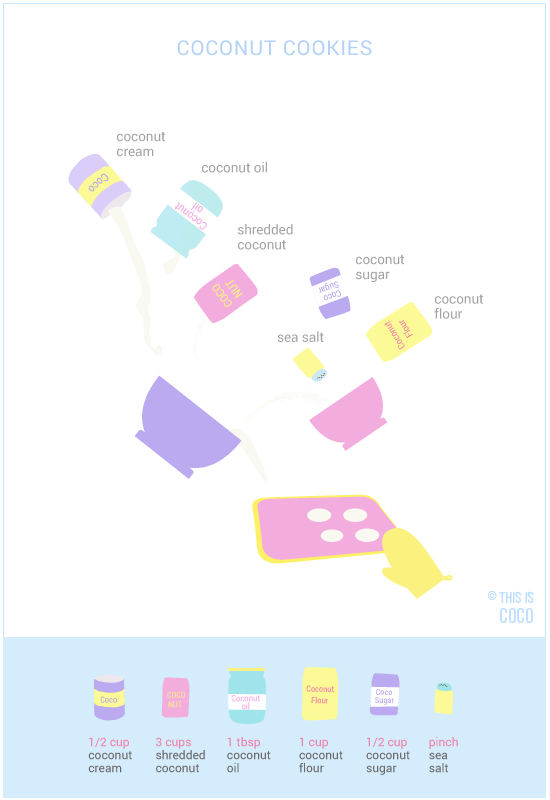 Add the coconut flour and sea salt and keep mixing until everything is well mixed. Use the remaining coconut oil to grease the baking tray. Form round shapes of dough and place them on the tray. Bake the cookies for 10-12 minutes. Let them cool off and optionally dip them in chocolate sauce. Serving tip: place a warm coconut cookie on a plate, add a scoop of homemade coconut ice cream and put another coconut cookie on top. Pour some warm chocolate sauce over it and..enjoy!